Do you need to collect attendee names, free t shirt sizes or dietary requirements for a fun run or an interactive or personalised event? Our powerful system now allows you to ask questions for each ticket as part of a sale. 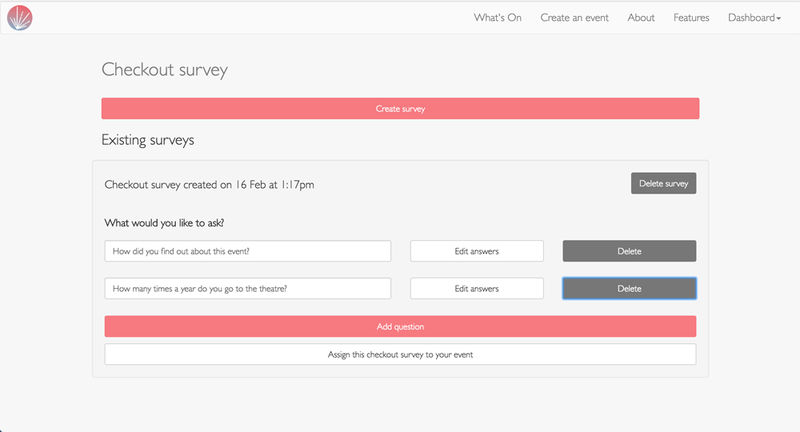 Not only that, but you can assign different questions to different ticket types, choose whether questions are compulsory, and even ask people multiple choice questions or fill in their own answer.